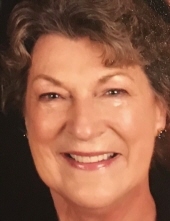 Rosalie A. Patterson, 76, Gettysburg, PA, went to be with Jesus on Monday, February 4, 2019 at the York Hospital. Mrs. Patterson was born August 22, 1942 in Baltimore, MD the daughter of the late Raymond and Rose Anderson. Her husband, Stewart Patterson died in 2011. Rosalie attended the Jireh Independent Baptist Church. Early in her life she helped in her father-in-law’s transportation business. She drove busses for the Carroll County School District. Later she became a nurse at the Springfield Maryland Mental Hospital. And later in life she was a caregiver for her husband. She enjoyed gardening and spending time with her cats, Rosie and Sadie. Mrs. Patterson is survived by a son, Russell Patterson and his wife Joanne of Cosby, TN, a daughter, Sharon Patterson and her fiancée, Terry David Jones of Gettysburg, PA, four; grandchildren; Jennifer Patterson, Wesley Perry, Dawn Nieves, Andrew Patterson, five great grandchildren, a sister, Linda Crawford, a sister-in-law, Vivian Alvers and nieces and nephew; Mary Rebecca, Annalisa and Jackson. She was predeceased by a brother, Raymond Anderson. Funeral services will be held Friday, February 8, 2019 at 2:00 PM from Jireh Independent Baptist Church, Biglerville Road, Gettysburg with Pastor Greg Keckler officiating. Interment will be private on Saturday in Providence Cemetery, Gamber, MD. A viewing will be held Thursday, February 7, 2019 at Monahan Funeral Home in Gettysburg from 6:00 Pm until 8:00 PM. And Friday at the church from 1:00 PM until the time of the service. "Email Address" would like to share the life celebration of Rosalie A. Patterson. Click on the "link" to go to share a favorite memory or leave a condolence message for the family.